KAYTRANADA‘s new EP Nothin Like U / Chances is now available for download and streaming across all platforms. 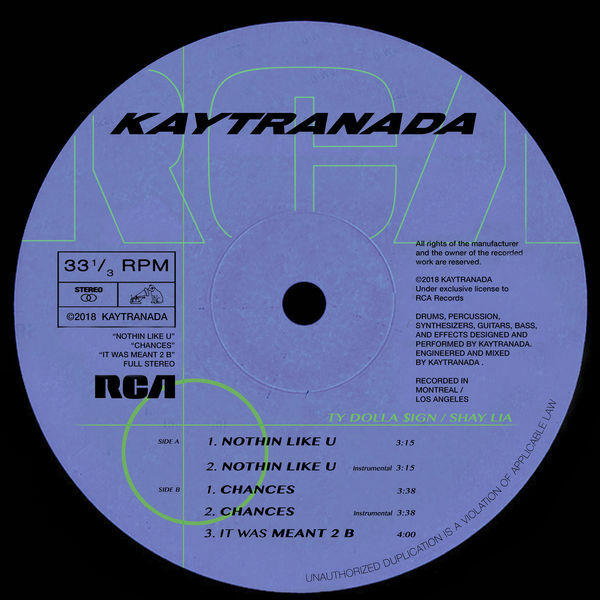 This double-sided single (with an additional third song ‘IT WAS MEANT 2 B’ comes as KAYTRANADA‘s first release with RCA Records. ‘Nothin Like U’ has a feature from Ty Dolla Sign while ‘Chances’ features close collaborator Shay Lia. Anything KAYTRANADA touches is straight gas and this release is no different than normal. Download or stream Nothin Like U / Chances below.